What's the difference between Duplicating and Mirroring? 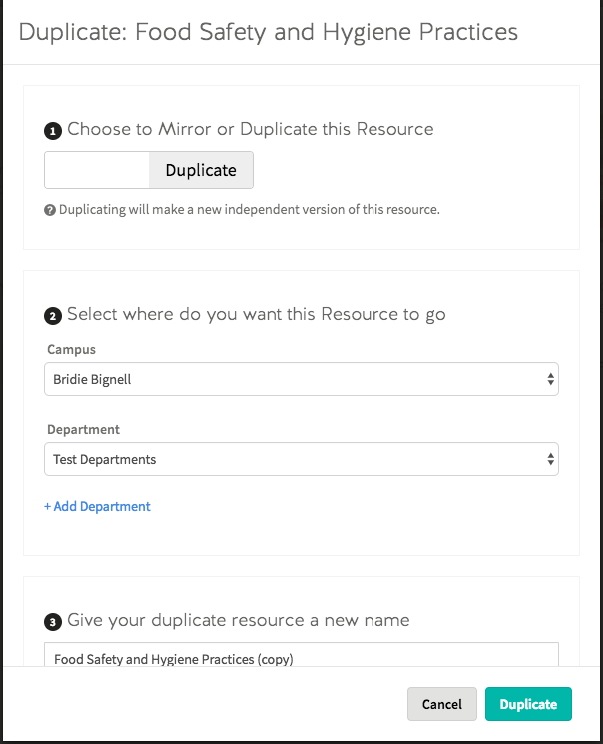 Duplicating an existing module creates an exact copy of the module in your Campus. Editing this module won't effect the original module. Note: Duplicating creates an unpublished copy. 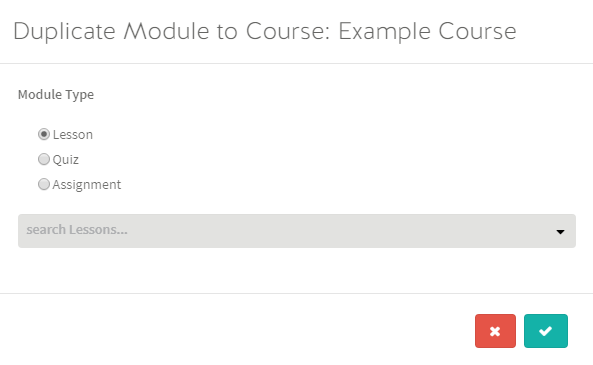 You must publish the module before it will be visible in your course. Mirroring an existing module creates an exact copy of the module and links both modules together. This link means any changes made to the original module will also mirror across to each mirrored module. Note: Mirroring creates an unpublished copy. You must publish the module before it will be visible in your course. 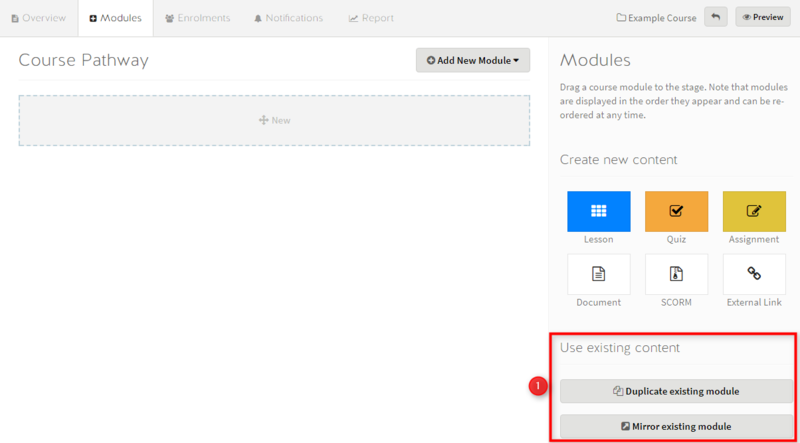 Step 1: Make your way to the 'Create' page, hover your mouse over any module, and select the 'Duplicate / Mirror' button. Step 1: Make your way to a Course, go to 'Modules' and select either 'Duplicate existing module' or 'Mirror existing module'. Step 2: Select the 'Module Type', choose the module from the dropdown box, and save the changes by clicking the green tick. Note: For Mirroring a Course, technically the course itself will be Duplicated with the modules inside it being Mirrored. This means that the original modules that have been mirrored will update across the courses. Changes to Mirrored modules will be reflected across all courses it has been mirrored to. 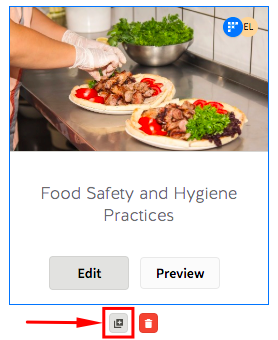 Any new modules that have been added to the course will not be updated or added and will need to be mirrored to the other required courses for updates to be made across courses.